At Texas Urology, we will do all we can to make your first visit a smooth and comfortable experience for you and your family. You will be warmly welcomed into our extended family and treated with compassion by a team of caring oncology professionals. 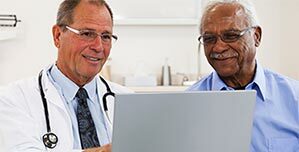 Texas Urology Specialists offers a secure and easy way to request an appointment. We are located in the greater Dallas, Houston and Fort Worth areas. Patients, physicians, family or caregivers can start the process. Request an Appointment. Your actual diagnostic films and related reports including x-ray, CT, or other tests ordered by your physician(s). These films and reports can be obtained from the radiology department at the facility where your tests were taken. If you have been diagnosed with cancer, a pathologist has probably made a diagnosis by reviewing a biopsy or tumor specimen under a microscope. Please make sure that we receive the relevant written reports. You can obtain these reports from the pathology department at the medical facility where your biopsy was performed. If your primary physician has referred you to us for evaluation of lab or X-ray results, please ask your doctor for a copy of your test results, and be sure bring any X-ray films to your appointment. If you’re on an HMO/POS plan, please make sure you bring the referral from your primary care physician. Please bring your insurance card and driver's license or picture I.D. If your insurance company requires that you have a referral for your first visit, please make sure that your referring doctor has done so. On your first visit, you may find it helpful to bring a written list of questions to review with your physician. We will allow whatever time is necessary to answer all of your questions and for consultation about your condition and treatment plan. As a new patient at your first appointment, you will be asked to complete informational forms. You can save time on your first visit by printing and bringing the completed forms with you. Download new patient forms. Please bring a complete, up-to-date list of all medications you take or bring the bottles and packages with you.